Since I spoke to you last, I have packed up a house, moved to an apartment, unpacked, and endured a few weeks without internet! I’m so far behind on my podcasts and blogs that it makes my heart heavy, but the silver lining to that is the excitement to see what everyone has been up to since then. Hurray! I do hope I haven’t lost too many of you, and those who’re reading this, old and new, thank you so much! I’m so excited to be able to share with you again. If you’re new to The Shy Lion, I do hope that you’ll join the Facebook group, and that you will share your projects, craft questions and general chitter-chatter both there and in the comments below. I do loves the commentses, I do, I do! Feel free to send me suggestions for posts and projects or crochet-y questions. Can I just say, that moving is properly not fun. Especially if you’re like me and have some hoarding issues. Oy. So. Much. Stuff. 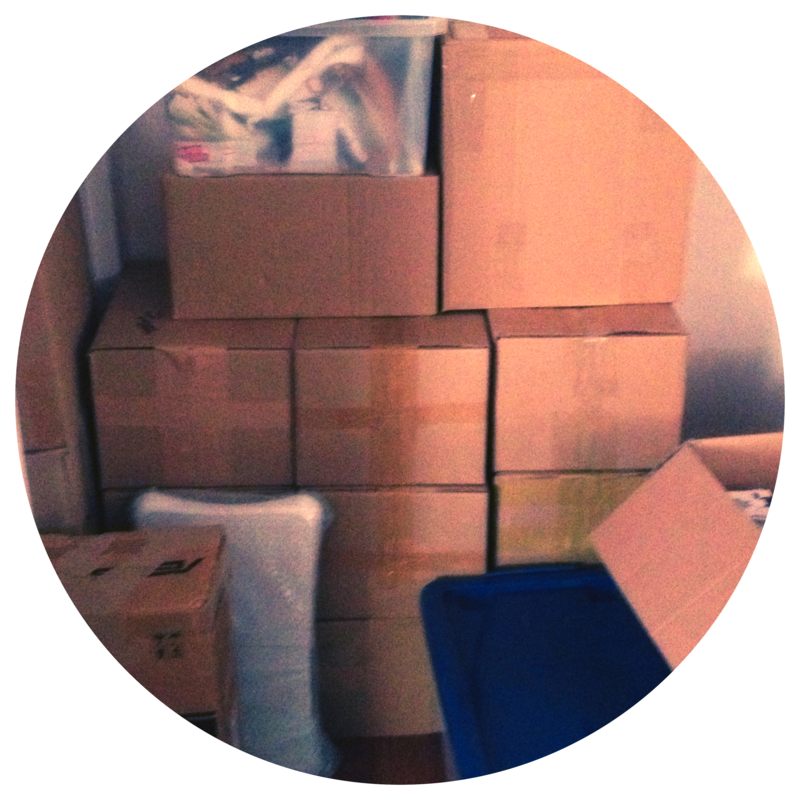 I threw out so much stuff, sent so much stuff to charity, and yet I still have a buttload of stuff. I’m certainly not under the illusion that moving is fun or easy for anyone, but my life literally stops for months when I move. It’s so overwhelming. I’m still walking around boxes and piles of half-unpacked things. But, I could not stay away from y’all any longer! Now that the dust is settling, I can get back into my crafty routines. I have been knitting and crocheting, but it’s been very scattered, and has not had the attention I usually dedicate to it. Which is lame, but things are back on track. Probably my most exciting news is that I’ve written a pattern to share with y’all! 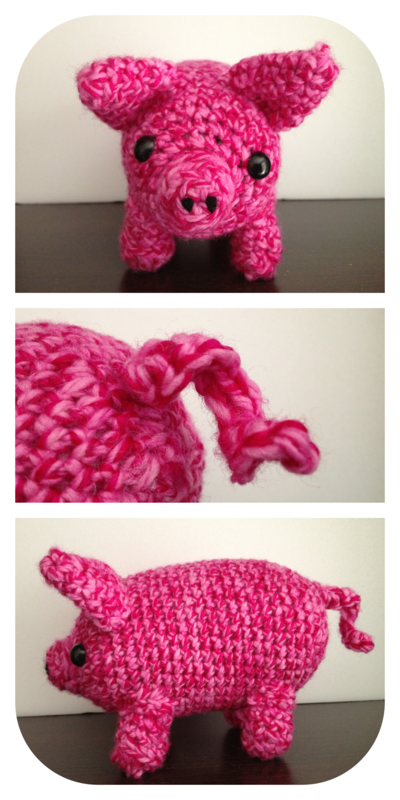 I crocheted a pig last year and wrote the pattern as I made it. Alas, the pig was stolen! Can you believe it? It was commissioned for a publicity event, and afterwards, someone pinched it right out of the display! They even had to cut the fishing line that suspended it. So rude! But, that’s the good thing about patterns, you can always make more. I’m halfway through a new one, but my super fantastic friend, Kate (who blogs here), did a test-crochet of the pattern for me! Here’s the piggy she made. There are a few things to iron out before I release that pattern. I expect that it will be available on Ravelry and perhaps my Etsy store. I’ll sort those details out as well. I’ll probably also do a bit of a giveaway. A-woo! Excitement plus! Well, that’s all for today, but I have some properly neat stuff coming up, so watch this space! Missed your fantastic faces! What have YOU been up to? Let’s have a catch-up in the comments, peeps! 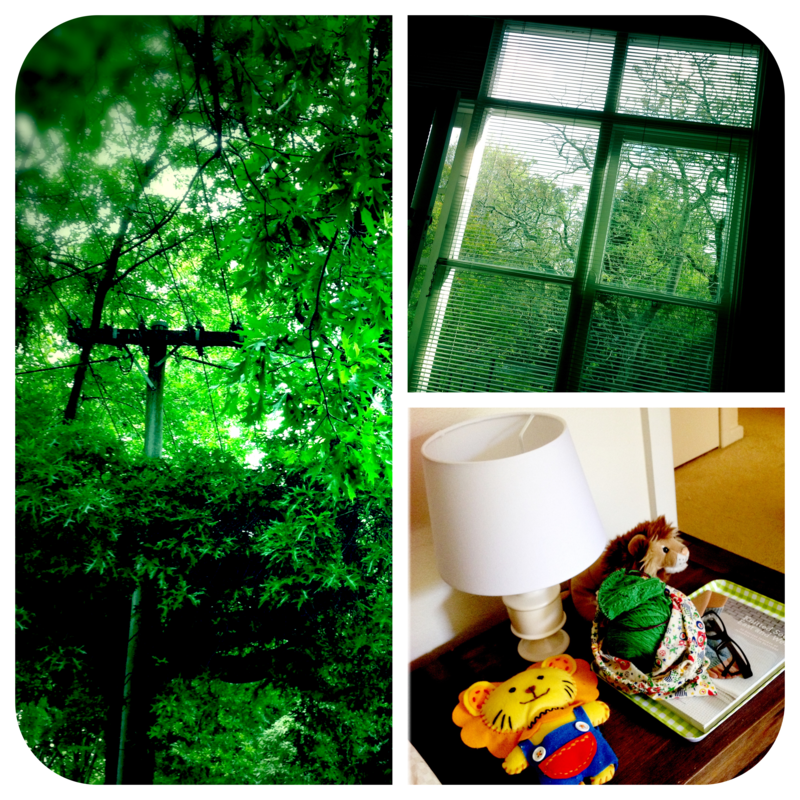 Of Make-Believe, Paper Boats, Dorothy and The Seasons. I am making my very first boyfriend sweater, in yellow chunky tweed. It’s going to be a Christmas present. Such a long time! They stole a bunch of things! They took the pig, a bear and a dog I made, and they took a jellyfish Judith made. I was pretty cross. But, they paid us to make replacement things, so it was okay. Hope you settle in to your new place quickly. That looks like a most excellent pig! Haha, well, we’re back in an apartment, and I’m making a vow that if I move from here, it will be to move overseas, and I’m going to get rid of everything. We shall see. Thanks, Jenna! I’m SUPER stoked to be back! Welcome back Raynor. You will be able to get back into your crafty routines just in time for Christmas. So lovely to have you back again. Oh Sandra! Thanks a proper bunch! Yes, I’ll have to get started on gift-makes now. Lordy. I’ve been making lots of things for my one and only craft fair this year ~_^ And I should stop being on the internet and go and do more of that!! ooohh poor piggy….I’ve still got mine!! I’m super pleased to be back and can’t wait to catch up. It’s largely thanks to my little ad on your beautiful site that’s kept the traffic flowing at Shy Lion and saving it from being a complete zombie. Phew!